The City of Bergholt lies upon the southern shores of the Interzae. Her crumbling walls and ancient cobbled streets are little more than a backwater, controlled by powerful merchants and thieves. In these darkened streets and twisted alleys people claw their way to the top through violence and guile. In Bergholt, the fear lingers in every shadow. In By Shadow of Night you’ll find a complete detailed description of Bergholt, a rich cast of NPCs who all have their own plots and plans, over 20 encounter areas, including a small dungeon and a large fold-out map of the city. All this setting material comes to life in the dark and deadly adventure, also included within, that is By Shadow of Night. 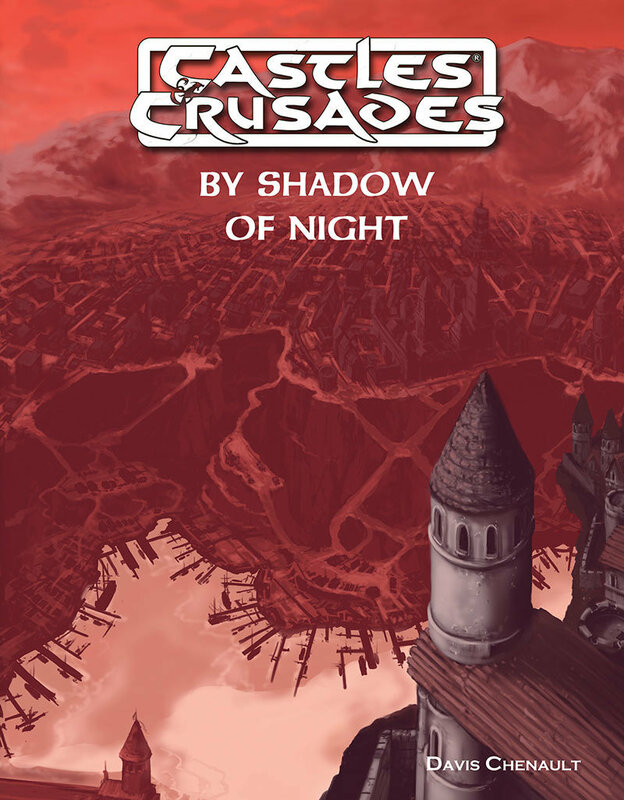 By Shadow of Night picks up after the Death in the Treklant series, available from Troll Lord Games, though it can be a stand-alone adventure if desired.